The Garden Room at Paradise Valley Lodge provides a private and peaceful escape to relax in at the end of a busy day. The quoted price is for the garden room only ( one bedroom). It is a separate price for two bedrooms . With Mt Ngongotaha as a backdrop, beautiful tree studded country views and gardens, trout stream and birds singing it really does feel like a piece of paradise. You can also enjoy the freedom of "doing your own thing" and cook what you like when you like. The kitchenette is set up to cater for 4 people. Alternatively, breakfasts can be provided as an optional extra by prior arrangement if required. At the bottom of the garden the Ngongotaha Stream is open for trout fishing from December to June. The stream is closed for the spawning season between July and November, and this is the best time to see the trout by our waterfall. Modern studio unit with optional extra ensuited bedroom. Lovely quiet setting still close to Rotorua. Room was comfortable with everything I required. 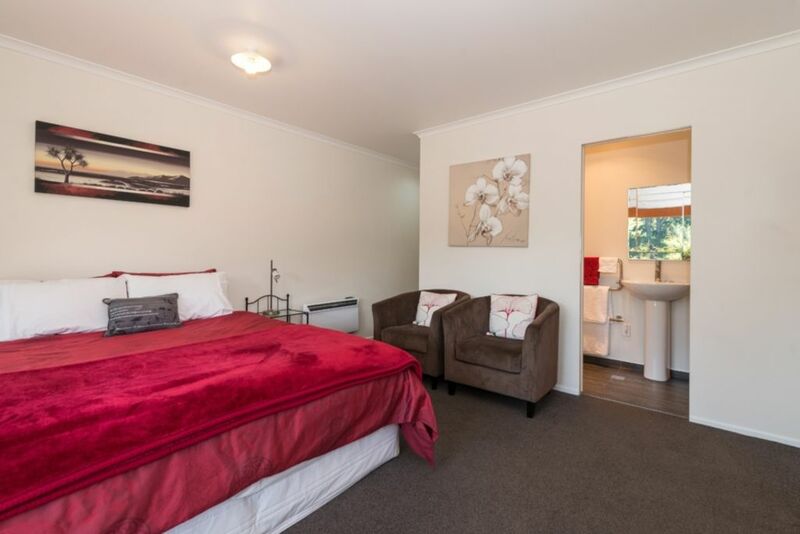 Simple, clean, comfortable and away from the main drag of Rotorua. We were glad to come up into the hills and to be surrounded by the beautiful gardens. The beds were very comfortable and the small kitchenette had all that we needed to cater for ourselves. We especially enjoyed our walk down to the stream, where the trout were abundantly evident.